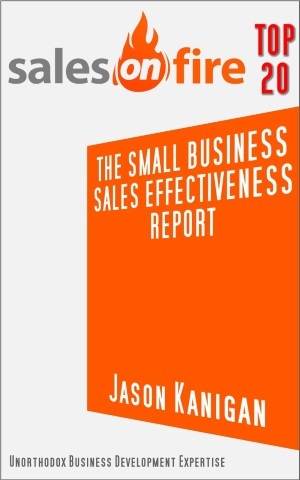 Jason Kanigan and Matthew North have both been sales pros and trainers for years. Both have Amazon/Kindle books on the topic. And now, they've met for an in-depth discussion of sales approaches, success in sales, sales mindset, and more. Join us for a truly transformative talk on how sales can be totally different for you and your prospect from the "Herb Tarlek from WKRP In Cincinnati" pushy, false enthusiasm-filled, say-anything-to-get-the-order beliefs and experience you likely had installed about selling as a kid. Selling does not have to be pushy. Selling does not have to be about you. And selling does not have to be about trying to wrestle the prospect to the ground until they say "Uncle!" and buy. 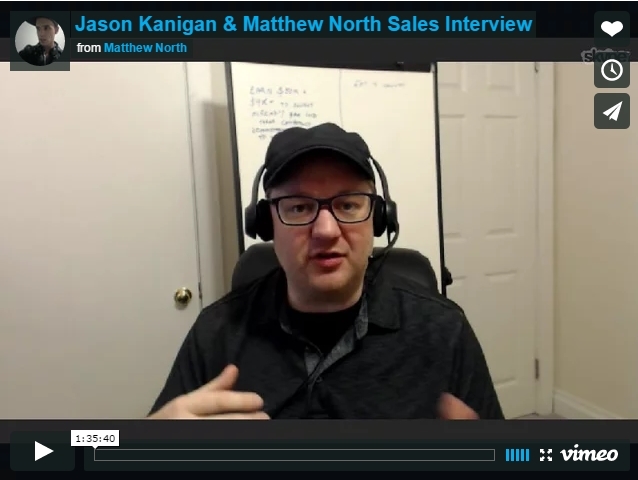 Jason Kanigan & Matthew North Sales Interview from Matthew North on Vimeo. If you want to learn how to "be and do" sales differently, then listen up. We discuss the subject of Authenticity at length in this interview. And ultimately there's nothing more important than your authenticity. Being it, expressing it, living it. If you're constantly trying to reshape yourself to please others in the hopes they'll buy, you aren't being authentic...and you won't be having genuine conversations with them. You won't be able to take the risks you must to get to the truth of things. Selling can be about matching up problems with solutions. Selling can be about listening rather than talking. 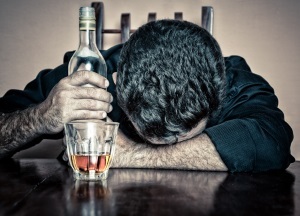 Selling can be about creating value wherever you go, rather than talking everyone you can into being a buyer and then dealing with highly uncomfortable buyer's remorse later on—or the Client From Hell, which is even worse.